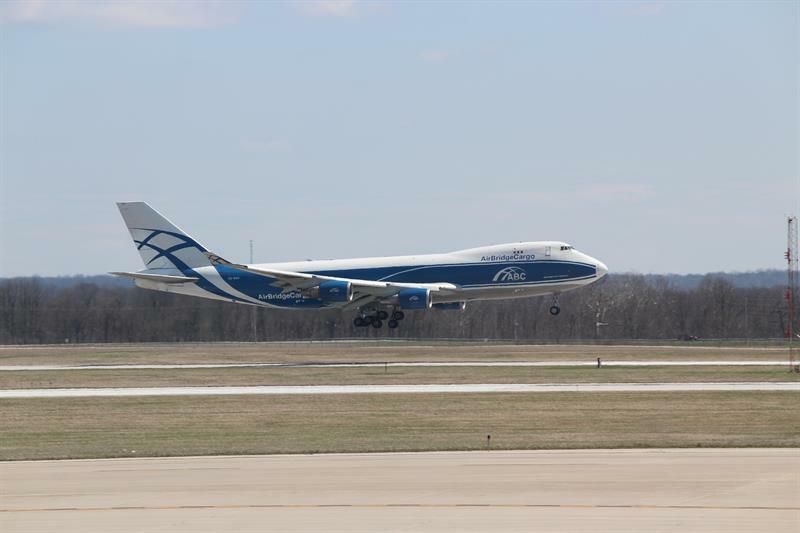 ​A year after entering the Columbus market, AirBridgeCargo Airlines is expanding its scheduled freighter operations at Rickenbacker International airport to a twice-weekly frequency, thereby doubling its airfreight solutions for customers in Ohio. The carrier introduced Columbus to its global network in April 2018 and, so far, has seen stable demand to and from Rickenbacker, accommodating growing trade flows onboard the maindeck capacity of its Boeing 747 freighter services. “We feel that our weekly operations to/from Columbus greatly benefit our customers as we operate to this cargo-friendly airport, providing dedicated, high quality services and leveraging the export/import volumes of the region. In 2018, our volumes tipped over 5,000 tonnes to/from Rickenbacker and we feel confident that our performance and customer feedback means our second weekly flight will also be well supported,” said Sergey Lazarev, General Director of AirBridgeCargo Airlines. The airline is planning to introduce its second scheduled weekly rotation in April 2019, complementing its existing Thursday flights from Columbus and offering customers wider connectivity options.